In an earlier post I mentioned my great-grandfather, Papa Sibley, and the influence he had on my Aunt Jean. She wrote of him: “My grandfather, John Coleman Sibley, whom we lovingly called Papa, died when I was only 11 years of age, but he has had the greatest spiritual impact on my life of anyone I have ever known. He was a devoted Christian, and was loved and respected by all those who knew him.” What a legacy. I don’t know a lot about Papa Sibley. He was a “junior.” His father, John Coleman senior, kept a diary during the Civil War, which I first read when I was about 11 years old. 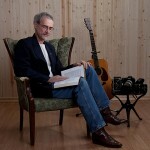 John senior was married to Lizzie. They had 2 little girls when John went off to war. Ella was about 4 or 5, and Mattie was newborn in 1861. Ella died in 1864 while John was away from home. John junior was born in 1865. Five years later, in 1870, John senior died. In, 1874, Lizzie died, leaving 13 year old Mattie and 9 year old John orphaned. I was thinking about this recently and wondered who raised them? Who had a godly influence on them that could have attributed to Papa Sibley being the godly man Aunt Jean described? According to the 1880 census they were then living with Matilda Sibley. It took a little digging to figure out who Matilda was. 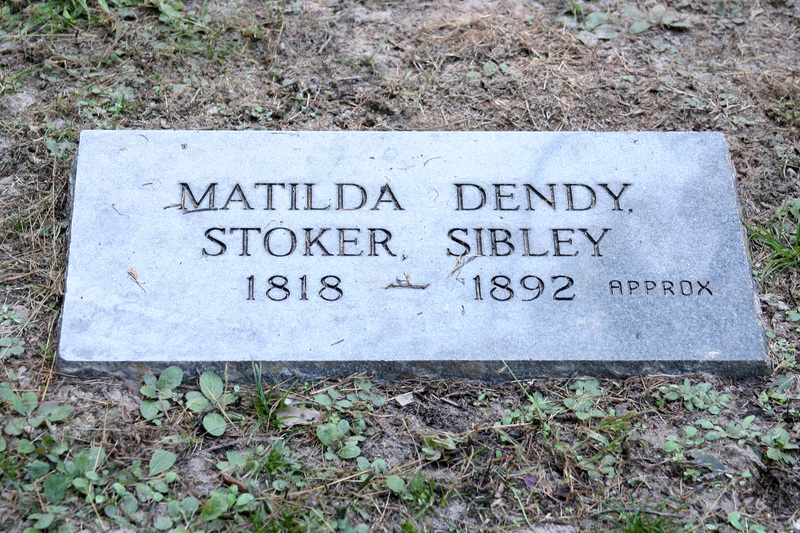 My ancestry research didn’t show a Matilda Sibley. I finally found her. It was Lizzie’s mother. Lizzie’s maiden name was Stoker. 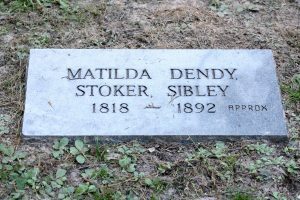 Matilda Dendy’s first husband was Matthew Stoker. He died sometime prior to 1849, and in 1849, she married William Sibley, uncle to John Coleman senior. So, she and her daughter both wound up married to Sibleys and sharing the same last name. So, what about Matilda? This was a time when it was not uncommon for someone to be widowed, to remarry, sometimes more than once. It was very common to have several children, particularly if a second, or third spouse was younger. Families of 5 to even 12 or 15 children were not altogether unusual. Matilda and Matthew Stoker just had the one daughter, Nancy Elizabeth (Lizzie), before Matthew died. Matilda’s marriage to William was his third. He had several children from his previous marriages. William and Matilda just had one daughter, Amanda, born in 1850. I know little of the intervening years. William was a preacher and one of the founders of Toro Baptist Church outside of Florien, LA. Their daughter Amanda died in 1860. William died in 1861, a few months after the war began. A couple of his children from his second marriage were in their mid-teens, and likely lived with Matilda until they grew up. Then when her daughter Lizzie died, she took in her grandchildren. Now for someone to say this about someone other than his or her parents is no insult to them. She also talked about how her daddy sang hymns, and about how her parents, and other grandparents, her sister (my mom), and others influenced her spiritual growth and development. There was just something special there between her and Papa, and he was there sharing the right things at the right time. He took the time to talk to this small, frail, blind and crippled child, that most adults didn’t have or take the time to spend. And, when I was a little boy, early elementary age, Aunt Jean came to live with us after my grandmother died. Aunt Jean often took the time to talk with me, to tell me stories about her childhood, to read to me from her Braille Bible, and teach me about prayer and faith in God. And you know what, Aunt Jean had the greatest spiritual impact on my life of anyone I have ever known. So, Thank You, Lord, for Matilda (1818-1892) and the legacy she passed on to her grandson, John (1865-1936). Thank You that he grew up to love You, and passed that on to Jean Ellzey (1924-1994), and to me. You really love me, Lord. And, I love You, too. Grant that I may pass that on in the same way in just one life.